Wednesday August 16, 2017: Abe is arrested for being Dario's silent partner, Joey decides to leave town, and JJ gets in Raines' face. At the loft, Theo and Claire share a moment. He almost kisses her. She backs away, knowing he only wants her friendship. Theo agrees but struggles with his attraction. Claire suggests a day by the lake. They get their swimwear on and Theo rubs SPF cream on Claire’s back, while chanting quietly, “Friends. Just friends.” Claire hears and grins to herself. At the park, Hope can barely speak, she’s so thrown by whatever Eli just told her. Rafe paces. Dario was right. His silent partner really is the last person they’d expect. Eli asks they have a problem with what they need to do next. Hope questions if he’s positive this is their guy. Eli has proof. More: Deconstructing DOOL: A well rounded week doesn’t mean we liked everything! Abe pays his bill at Mandalay with a wad of cash. Val walks up and he tells her about Theo’s involvement in destroying evidence in order to help his uncle Chad. Abe worries the police will arrest his son as an accessory. Val can’t let that happen. Hope and Rafe appear. Val asks them not to go after Theo who didn’t know what he was getting into. Rafe says that’s not why they’re there. “I’m sorry. We’re here to arrest you,” says Hope, to Abe. Everyone gasps. Abe reminds them he’s the mayor and the one who gives orders. He asks what the charges are. 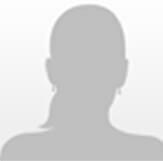 Rafe says, “co-conspirator in a counterfeiting scheme.” People surround them, recording the arrest with their cell phones while Val defends her boyfriend as the most honest man she knows. Hope reads Abe his Miranda rights and they file off to SPD. At the pub, Tripp vows to never tell anyone that Joey killed Ava. Joey’s unconvinced. 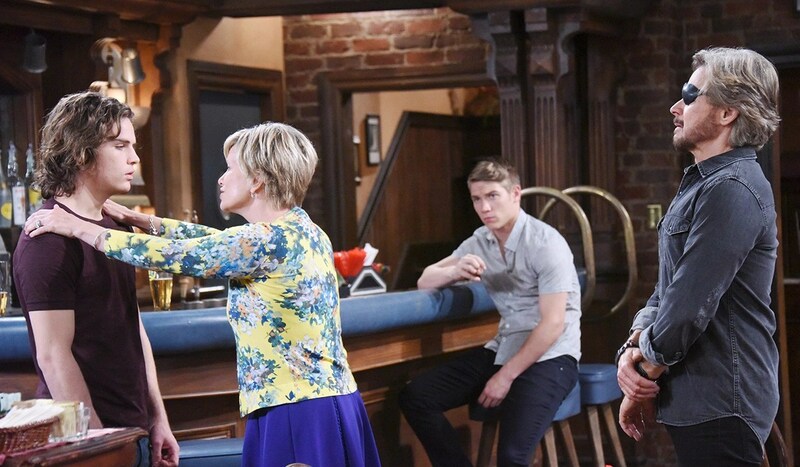 Steve looks as if he’s about to cry and Kayla pleads with her son not to turn himself in, while Steve urges his son to do what is right for him. Kayla starts hollering at her husband and again blames him for this whole situation. Steve tries to calm her down but she feels patronized. Joey doesn’t think his mama’s being fair. Kayla doesn’t care about being fair. She rubs his shoulders and says she wants to save his precious life. Joe takes her outside, while Tripp apologizes to Steve. He doesn’t want Joey to go to prison. “He’s my brother, your son. I don’t want to lose him.” Steve admits he wanted to take Tripp out at first, but Tripp’s his son. He had to put his anger aside. Tripp plans on making things right. Steve says they’ll get through this. Outside, Joe says he didn’t realize his parents were fighting that much and he hates it. He couldn’t handle it if they broke up. Kayla says if he stays, they can make everything work. Joey reveals she’s the reason he wants to turn himself in. Joe and Kay return. She has accepted that he’s turning himself in. 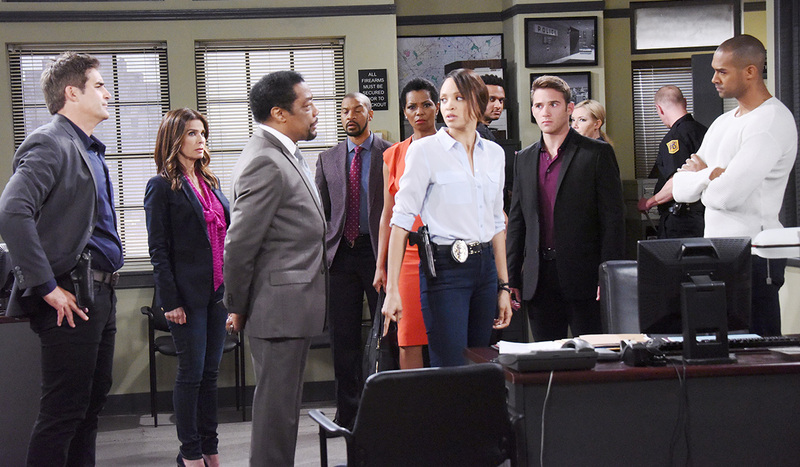 Lani’s shocked when a handcuffed Abe enters SPD with Hope and Rafe. Abe tells Eli Dario played him. “I’m innocent,” he states. Eli says Abe’s been paying for everything in cash – the same counterfeit bills. Abe is shocked. The cash was examined and there’s no way this was accidental. They’ll hold him for 48 hours and get the proof they need. “I’m sorry mom,” he says to Val, who is heartbroken. Abe calls this slander and he plans to sue them all. Eli needs the necklace and earrings – they’re evidence. Val’s pissed and takes them off, dropping them on the floor and glaring at her son. Back at the loft, Claire sees a video of Abe’s arrest, which she feels awful about showing to Theo. Hattie finally gets her chance at Roman.